Last October, Vee Popat achieved every marketer’s dream—global viral exposure for a photo series showcasing Nightmares Fear Factory (NFF). During that month, NFF’s hilarious photos of unsuspecting guests exploring its dark corridors traveled the world, making the haunted house a poster child for tourism and Halloween fun in Niagara Falls, ON. If you’re new to this story, read last year’s Analytic Eye post on Five Viral Takeaways from the original campaign, which saw NFF content featured on Jay Leno, Good Morning America, newspapers and Internet sites all over the globe. When I interviewed Popat last year, his campaign had already produced a 10,000 per cent increase in his site traffic. Sign that your work is excellent: an industry leader features your first campaign in a book under the Hall of Fame section. Popat has a whole chapter in The Business Book of Awesome by Scott Stratten; it is a republished version of my original post. But what does going viral mean a week or a month or a year later? Can going viral really boost your bottom line? Can you demonstrate return on investment (ROI)? And, once you’ve successfully courted a global audience, how can you hold their attention? I spoke with Popat for an hour last week to explore these and other questions. If you’ve only got a minute, here are five quick takeaways about life after a successful viral campaign from Nightmares Fear Factory’s journey over the last year. Stress your infrastructure in ways you never expected. Bring you immense interest, but not necessarily the way you’d like it. Open doors in unreachable markets. Fade if you rest on your laurels. The new homepage for Nightmares Fear Factory. When Popat hit the big leagues, his team had just finished building static, mobile and Flash websites for NFF. The project, originally slated to launch in spring 2011, didn’t go live until September 2011. The team was finishing a round of bug fixes when the first traffic surges started courtesy of Buzzfeed.com. 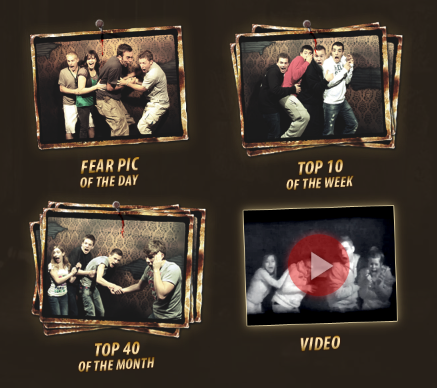 You can see a few screenshots of the original Nightmares Fear Factory website in my first post. At one point, Popat defaulted to a splash page that redirected visitors to the NFF Facebook page while he and his developer scrambled to upgrade to the high-performance infrastructure their success now demanded. 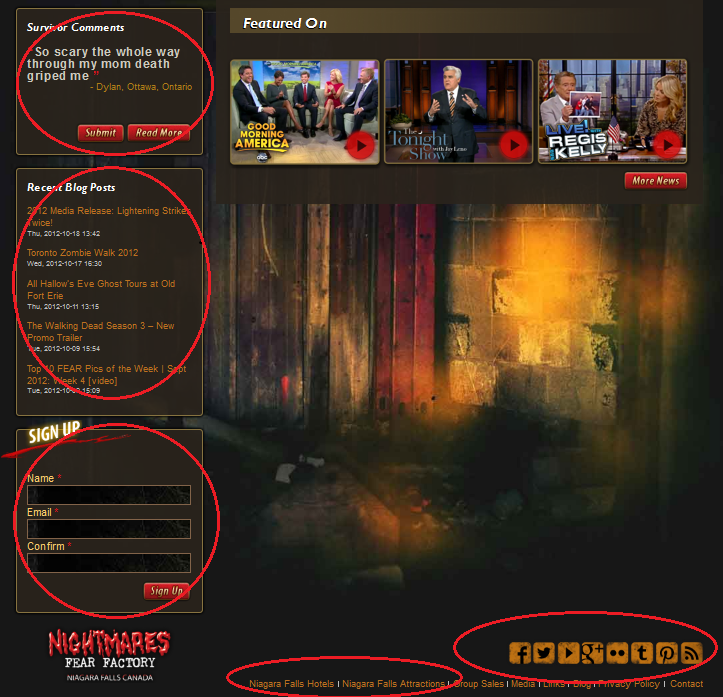 New features on the Nightmares Fear Factory website include better highlights for testimonials, a blog post index, an email subscription feature and an array of social share buttons. The “work” involved scrapping the site’s previous iterations and shifting from Flash to a Drupal-based system, which drastically reduced load time. The Flash project sought to mirror the haunted house experience by replicating the same moody atmosphere online. While the interface was as clean as Popat could make it, his analytics demonstrated that people didn’t want an immersive experience in a website for a haunted house. Of all the changes, this is my favourite. 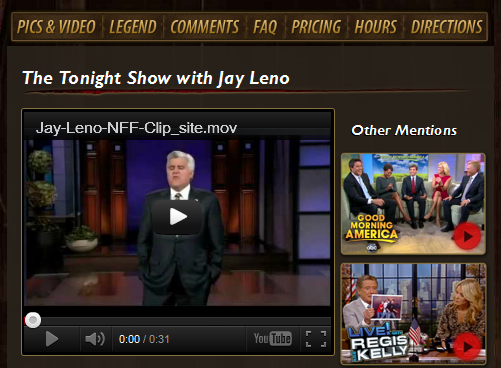 Because if an outlet of Leno’s stature endorsed you, you’d be crazy not to post it and make it easier for people to find. After revising his strategy in concert with NFF’s owner, Popat conceptualized a stripped-down version of the site that focused on giving people what they wanted—lots of photos, shorter load time, infrastructure to support blogging and a more intuitive layout. The new site launched in May 2012. The average visit length is up to 4:30 minutes from an average of 1:30 on the Flash version, a much smaller percentage of which is load time. Popat and his developer, Adam White, use time spent on pages and the number of pages—both of which has improved—as evidence that their changes are working. The index page for NFF’s photo and video galleries. It is the site’s second-most popular page. The beauty of NFF’s business is its endless content supply—each day, the haunted house captures new footage of freaked out victims. Browsing the photos is the stickiest part of their marketing. In my previous post about NFF, I talked about the brilliance with which Popat and his team layered links between their social channels, making it easy to move back and forth between the main NFF site and its companion sites on Facebook, Twitter, Flickr, Youtube and Tumblr. But that brilliance proved to be more hindrance than help as the campaign unfolded. Daily fear pictures and top 10 galleries were available on the former Flash site, but Popat had no mechanism to archive them. Since NFF’s social networks offered better archiving functionality, photo content in those locations were far more appealing to repeat visitors. The intuitive media interface for sharing NFF photos with embedded social share buttons. The new site features extensive photo galleries and uses embedded social share buttons to add functionality to the stripped down look and feel. 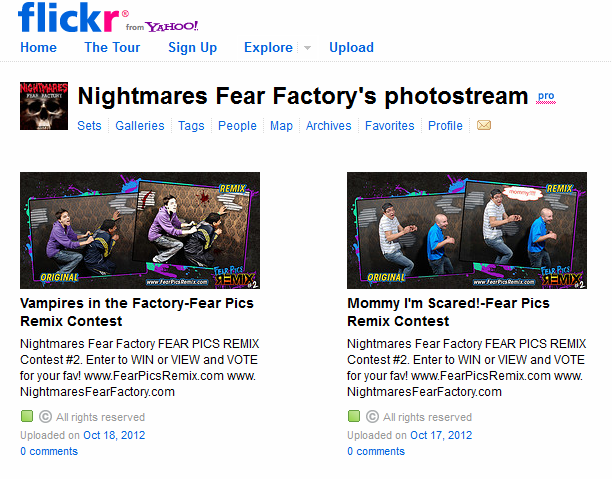 In addition to photos of the day and week, Popat has also added a gallery for the Top 40 Fear Pics of the Month. Again, the numbers for the new site back up his claim. The Top 40 page is the most visited page on the site, after the homepage itself. Social networks continue to be important channels—Popat says Flickr is still the seventh most-popular referral site, but people who want to waste their time laughing at the photos do more of it on the main site. NFF’s social channels now act as proper lead generators, centralizing traffic on the main website instead of drawing visitors away. A view of the American, Bridal Veil and Horseshoe Falls from the Presidential Suite of the Sheraton Fallsview Hotel, Niagara Falls, Ontario, Canada, by Saffron Blaze. Courtesy of Wikipedia/Creative Commons license. Niagara Falls draws tourists from all over the world, but the United Kingdom is a key market for the region. 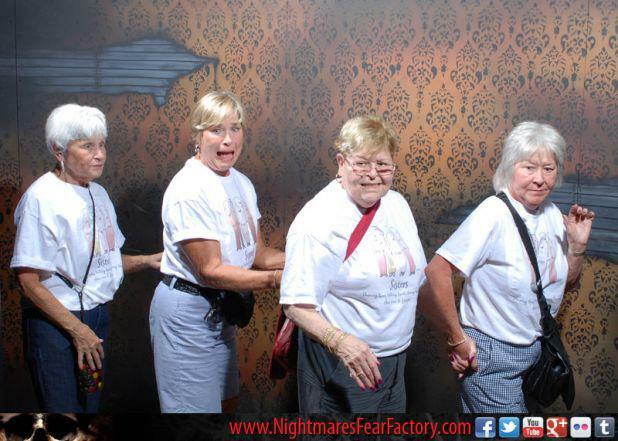 In June 2012, the Daily Mail, which covered Nightmares Fear Factory’s initial viral surge, spontaneously re-posted Nightmares Fear Factory content. Popat isn’t sure why, but the coverage helped to make sure NFF was a top-of-mind destination for UK visitors making travel plans for the summer. “It’s a perfect example of the kind of pull that would never have been possible for us before we went viral,” Popat says. It’s also made NFF the cool tourist attraction in town. After their success, local hotels contacted them to arrange package deals. 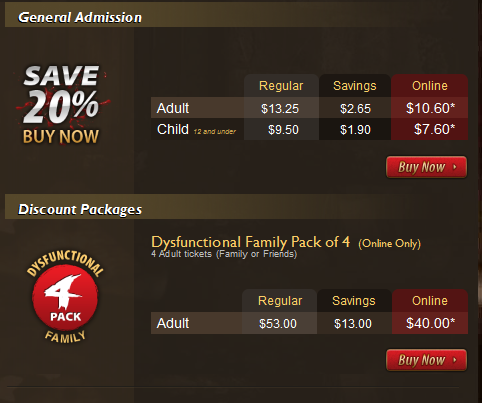 Halloween or other specials that offer a room deal and four tickets to NFF are more abundant and popular. Popat also finds tourists make visiting the attraction a priority when they see those famous photos repeated in the coupon books nearly every guest receives when they check into an area hotel, no matter the room deal involved. 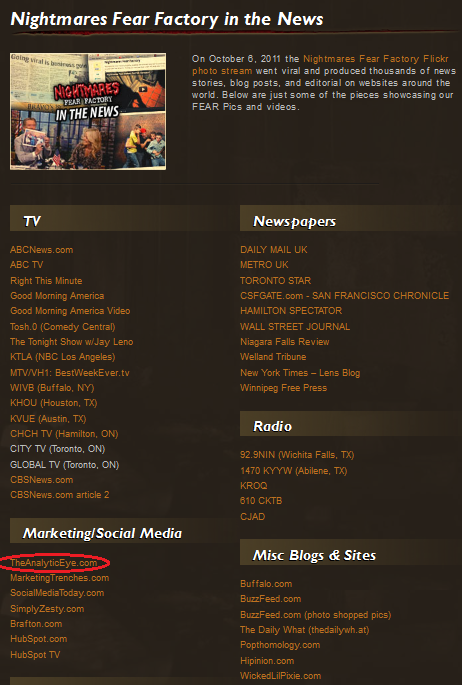 CBSNews.com Feature of Nightmares Fear Factory Content, October 2012. Their popularity as a go-to scare source continues. Last month, smaller blogs began to pick up their content again. CBSNews.com called in early October. The second viral surge has picked up so much steam that Popat issued a second media release. So what’s the hard truth about Nightmares Fear Factory’s success? Popat says it’s the changing demographics of their visitors. The proof is in the photos. Cleaner purchase interface for NFF tickets. People still come to Niagara Falls to see the falls, but NFF has carved out a place as a key secondary destination. It’s worth noting that NFF’s viral campaign contains a hard sell—the humour is not secondary to the product. When you look at those horrified, freaked out people, you can’t help but want to see whatever they see. Equally important is that Popat and his team have consistently layered sale points across their digital content. I doubt they would be enjoying this degree of success if they hadn’t done the hard work of thinking like a visitor and made buying tickets a ubiquitous experience. Nightmares Fear Factory Flickr Contest Flyer as photo to gain cheap advertising. If you were Vee Popat, it would be easy to kick back and enjoy the view from your viral house. 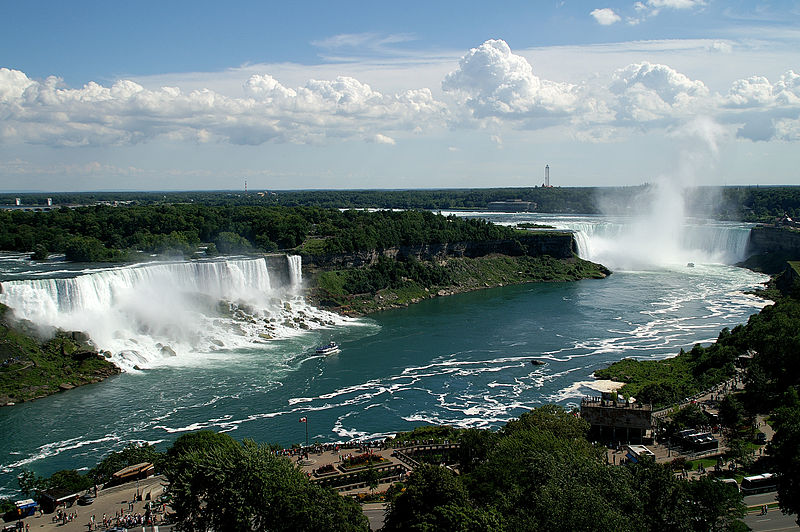 The blog, which talks about Niagara Falls news along with NFF news. Popat says launching one in tandem with the new site improved their SEO performance tremendously. When you do a general search for Niagara Falls through Google, they appear on the second page of results instead of the 30th or 40th page where the old site was ranked. A photo remix contest promoted through Flickr, Tumblr, Facebook and that challenges creative types to Photoshop existing NFF images into new content. Pro tip: For free contest advertising, make a photo with the contest details and keep it at the top of your stack. Expanded Tumblr presence to drive the ever-growing appetite for Internet memes, which pulls in 1,000 views to the main site every month. Popat says it’s been a key driver of his latest traffic surge since Tumblr content is so easy to share. Embedded Youtube videos on the main NFF site, along with links to journalistic and blog traffic (including a link to my original article). Popat’s work for Nightmares Fear Factory demonstrates that if your content has legs, viral success can be sustained beyond your initial 15 minutes of Internet fame. I expect to see fresh versions of those terrified NFF visitors at Halloween for years to come. Once again, I’d like to thank Vee Popat for being so generous with his time. 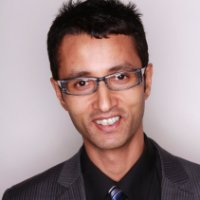 You can follow him on Twitter (@VeePopat) or through LinkedIn.